WIR* HIER! / We* are here! Dorothée Brill helped curate the German travelling exhibition: “WIR* HIER! 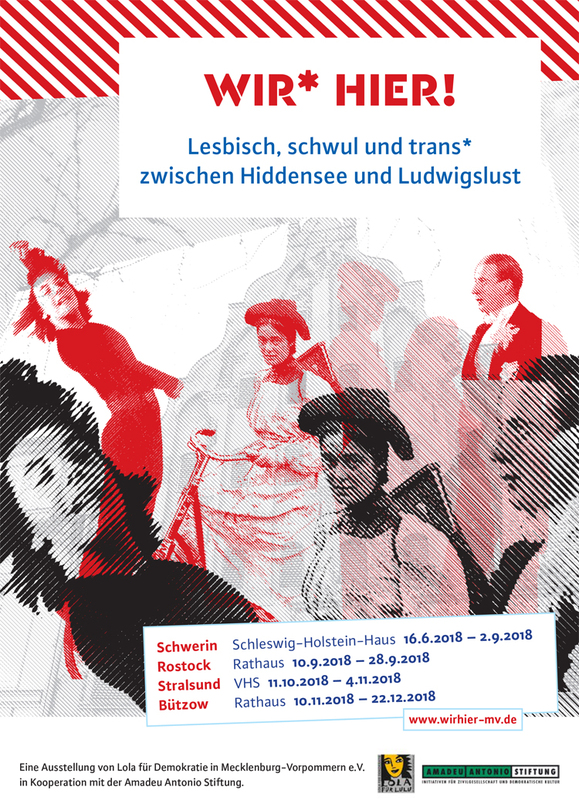 Lesbisch, schwul und trans* zwischen Hiddensee und Ludwigslust” (We are here! 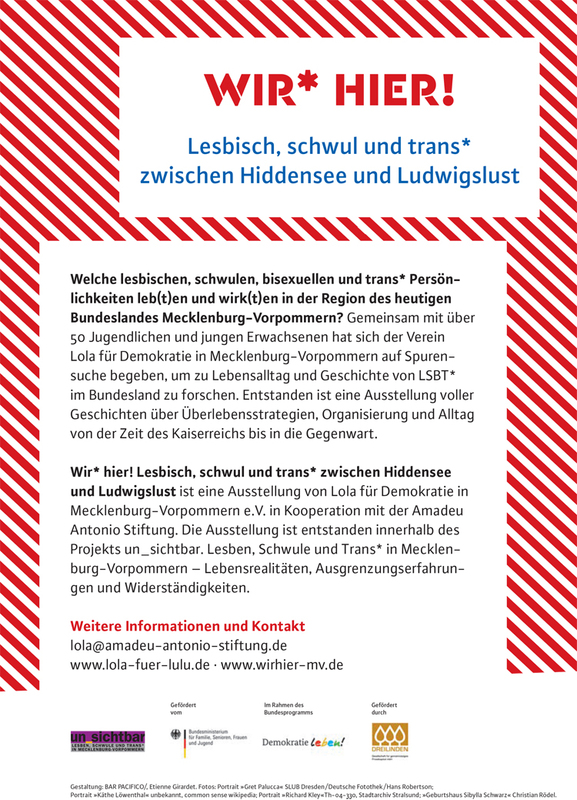 lesbian, gay and trans* between Hiddensee and Ludwigslust), which features art works by over 50 LGBT youth. This summer the exhibition is in display in Schwerin until September 2, 2018. Then it will travel to Rostock, Stralsund and Bützow. See the dates on the flyer above.